Collaborating with the car brand company, Aston Martin, the watchmaking brand Jaeger LeCoultre produced a line of Jaeger LeCoultre AMVOX timepieces. The emblem of both the brands can be seen imprint on AMVOX2DBS timepieces. The AMVOX2DBS is laced with a transmitter which also acts as the key of the car. The designs of the Jaeger LeCoultre AMVOX were created on the lines of Avant Garde modernism. The case of the timepieces can be styled with titanium, gold or platinum. The case of the AMVOX3 has been graced with ceramic which gives it a classy finish. 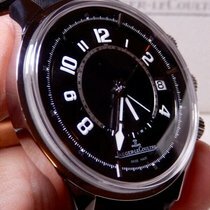 The second and the third models created in the Jaeger LeCoultre AMVOX lineage is designed with a semi translucent case over viewing the mechanical movements inside the timepiece. 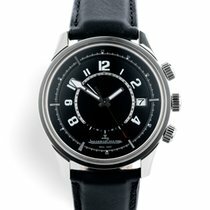 The AMVOX2 incorporates a buttonless chronograph, one of the latest Jaeger LeCoultre technological developments. Combining high end performance with power and style, the Jaeger Lecoultre collaborated with Aston Martin presenting the AMVOX Transponder. The watchmaking art touch new technological dimensions with this highly mechanized timepiece. The watch also incorporates a transmitter microsystem which allows the Aston Martin car to be locked and unlocked with the timepiece. Powered with Calibre751 movement, the timepiece also works on a vertical trigger chronograph function. The creation of the Transponder timeline exemplifies a perfect combination of technicalities mingled with modern art form. The accuracy and precision in the timepieces is well supported with the other mechanics employed in the making of the watch. Revamping the design of the transponder modules, the car engineers have technically housed transponder in the AMVOX Transponder caseback. Besides the high end transponder Timepiece, the AMVOX collection has developed similar line of highly mechanized timepieces. The two companies also put forth a series of timepiece collection which includes the lately developed AMVOX 5 World Chronograph. The wrist watch carries forward the ideas shared by the two companies since its partnership in 2004. Linking the timepieces with the automobile industry, the name of London is taken over by the town Gaydon in Warwickshire in the wrist watch. The headquarters and factory of Aston Martin are located at Gaydon. The name of the town is placed at 6’o clock which can be observed if viewed closely. The time elapsed can also be viewed on the two 30 minutes and 12 hours indicators. House in a 24 carat pink gold case, the watch is fashioned with huge 44mm dial size.